Elon Musk has found the most unlikely of enemies as socialist self described "Democratic socialist" and former bartender Alexandria Ocasio-Cortez has thrown herself into the public eye as a critic of Elon Musk and Tesla. According to The Daily Caller, Ocasio-Cortez slammed Tesla on Monday night during a climate change town hall that was organized and hosted by ranking socialist Senator Bernie Sanders. In what may be described as a "broken clock right twice a day" moment of economic insight, Ocasio-Cortez took on Tesla for not returning to taxpayers what they have invested in the company. "When we as a public choose to invest in new technologies, we deserve a return on that investment" she said. She continued: "For far too long, we gave money to Tesla, we gave money to a ton of people and we got no return on our investment that the public made in creating technologies, and it’s about time we get our due because it’s the public that funded and financed a lot of innovative technologies." One wonders what she would say about Solyndra, assuming she has even heard of the "revolutionary" and now defunct company. While Ocasio-Cortez was generally on the right path, if only in the sense that Tesla is a cash furnace that is worthy of almost any and all critiques lobbed upon it, perhaps she didn't notice that Tesla paid back its Department of Energy loan in 2013. Then again, she was only 24 at the time. Ocasio-Cortez did not go into specifics how exactly she would like Tesla to repay this investment, nor did she talk about specifically where the company has failed. Those types of details would require more than a surface level familiarity with of the facts. Meanwhile, Tesla has bigger problems than worrying about taxpayers' IRR: a few days ago, we wrote about Elon Musk‘s most recent interview with Axios that aired on HBO last Sunday. While the Tesla CEO and the rest of the company's board of directors were posturing as though everything was fine earlier this year - even as the company struggled with ramping its Model 3 production and its CEO became the target of both the SEC and the Department of Justice - the reality of the situation below the surface was far closer to what most skeptics had suggested. And while there is no reason why the young democratic socialist should be familiar with these nuances of the EV maker, she may well have a point if as part of Musk's next fungible boondoggle he is once again granted billions in taxpayer funds - whether to dig tunnels under LA or to send billionaires to Mars - much needed liquidity which would then be shuttled over from one Musk-controlled balance sheet to another. 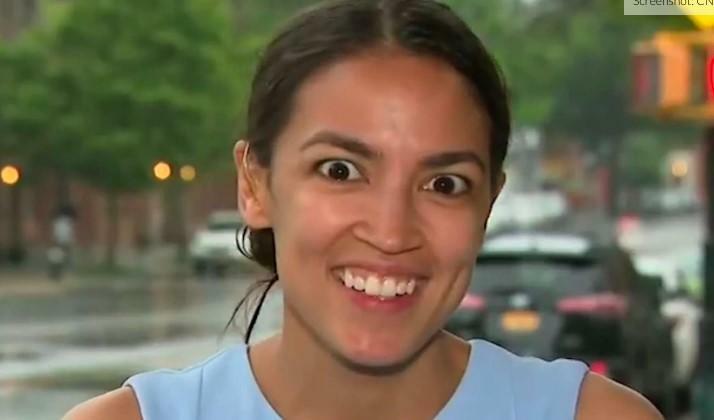 Luckily, by then Ocasio-Cortez will be president, and she will promptly put an end to this nonsense.